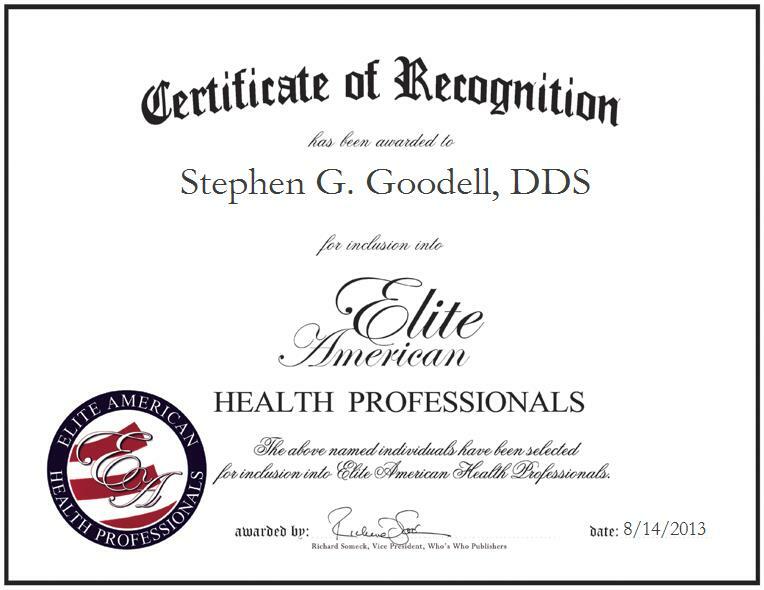 Stephen G. Goodell is a Dentist specializing in composite fillings. Dr. Goodell examines and cleans teeth, and makes composite fillings for adult patients. He handles everything including exams, cleanings and composites for a primarily adult population. He earned a Doctor of Dental Surgery from the University of Michigan, and he has since remained abreast of trends and developments in his field as a member of the American Dental Association, and the Michigan Dental Association. He is also a member of Omicron Kappa Upsilon and the National Dental Honor Society. He is affiliated with the World Wildlife Federation, Green Peace and the Sierra Club, as well. Dr. Goodell has also provided service with the Corrections Department, as well as underserved areas in the past. He’s also done workshops and seminars, and he has been published.